In the aftermath of severe flooding from a storm or broken plumbing system, water extraction should be your primary concern – at least initially. After all, the best way to protect your Gainesville home and possessions is to eliminate the water that is soaking all of your things. Even if you intend to hire a water restoration company to assist you in making sure that your home has been properly sanitized, eliminating the water on your own can help to prevent additional damage. 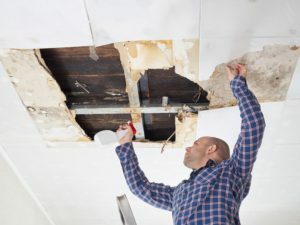 Runoff from heavy Florida rains can seep into the foundations of each room affected by the flooding, causing problems that often take days or weeks to remedy. If you begin the removal process on your own before the professionals come out, you can shorten the amount of time needed to complete thorough water extraction. You’ll also make it safer to remain inside of your home while you wait for an experienced team of technicians to complete the job. Water can find its way into your home at any time. It is up to you to help it find its way back out! Even if you use wet vacuums, mops, and buckets to remove the water from your home or business, your walls will probably need water extraction. A specialized piece of equipment known as a moisture meter is used to determine whether or not water has gotten into your walls as well as how severe the problem is. Standing water provides the perfect environment for bacteria and fungi to grow. Removing the water reduces the likelihood that your home will become contaminated. Not only must you eliminate the water that you can see, but you must also get rid of the water that is hidden behind the walls, in the carpets, and in your possessions. Since this type of water damage is more difficult to remove, you might want to consider hiring water extraction specialists to assist you in doing so. Eliminating moisture from your walls, floors, furniture, and possessions, helps to eliminate pathogens while preventing the growth of mold and mildew.